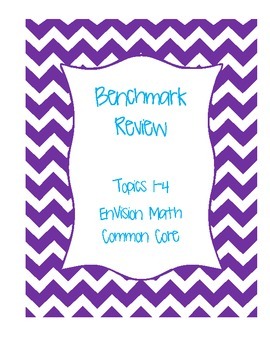 This review is for the first Benchmark in the enVision Math series from Pearson Learning. This review mimics the skills, layout and language that students will encounter on the actual test. It is great for reviewing the day before the test or for homework the night before the test. It covers Topic 1, Topic 2, Topic 3 and Topic 4.